After seeing this, I suddenly had the urge of collecting those cute canisters. I love the way that those are transparent and could readily give you a hint of what you are looking for in the spice rack and in the noodles section. Cool huh? Since, I am planning to use more herbs in the kitchen this year, I just thought that this is also a good way to store those herbs and spices. Oh, I'm pretty sure that it would enable me to prepare more dishes that I have never prepared before. I would probably start collecting those canisters when I get back home this March. 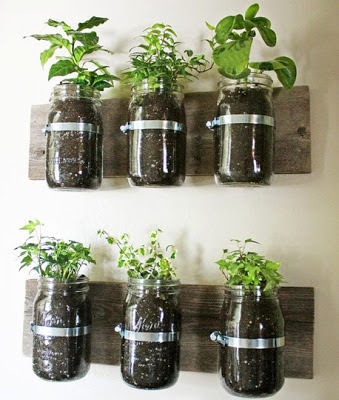 Speaking of glass jars and canisters, I found this cool way to grow your own herbs at home by recycling those old jars that you have in the kitchen. I just realized that growing herbs is one of the easiest thing to do at home with this one of a kind idea. You know what, I'm planning to grow my own herbs. But since the soil around the compound is not conducive for plants, I am thinking of using pots. This post gave me another hint. The pantry organizer is really nice. The first one looks like a grocery shelf :D so many items. These pantry shelves make me sigh too. Its such a wow! 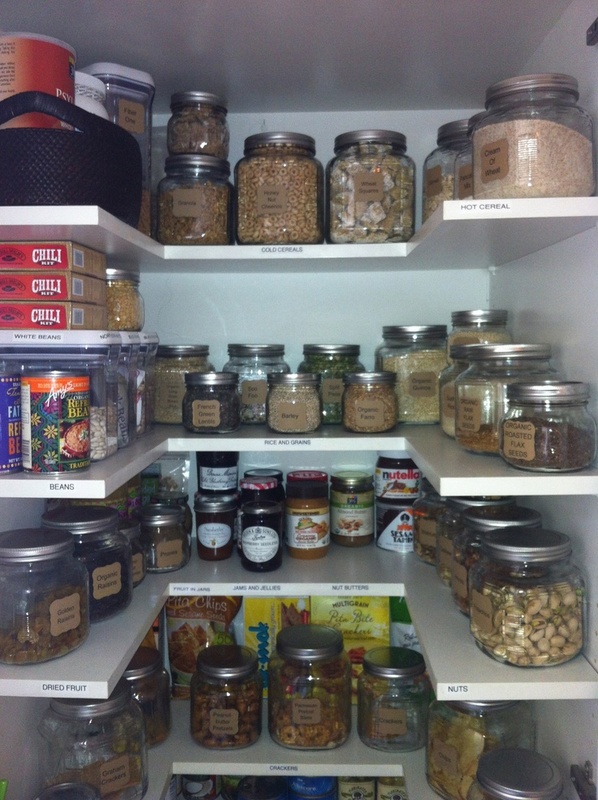 I am wishing that in my future home, i will have a pantry like these. 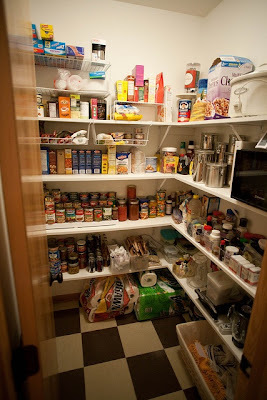 The pantry of my former boyfriend looks somewhat like this. 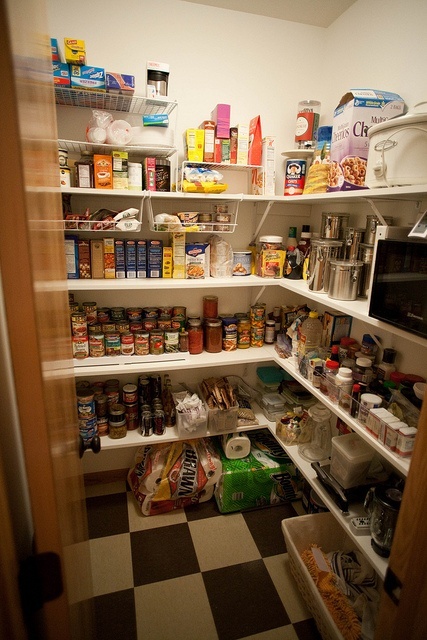 His family is rich when I accidentally saw their pantry, I was surprised! It was akin to a small convenient store! I like the idea of having the herbs hang in the kitchen and the shelf was really organized. Haaay....I really want to make our kitchen like this one. I want a big spacey pantry, too. I'll put a lot of spice and everything nice in it. That is really a cool idea for a pantry. A pit we don't have the space for it at home. Yes! I like these ideas of yours. What herbs would you plant? BTW, I forgot to add my blog to this week's list a visit would be appreciated. 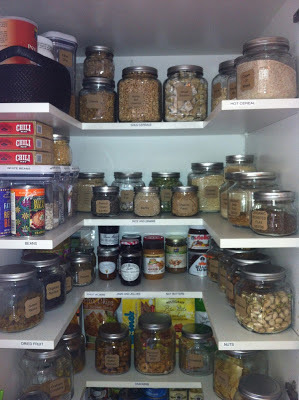 love the pantry... there was a time I also had a complete pantry but when we didn't have any helper, I stopped cooking and didn't fill my pantry anymore.